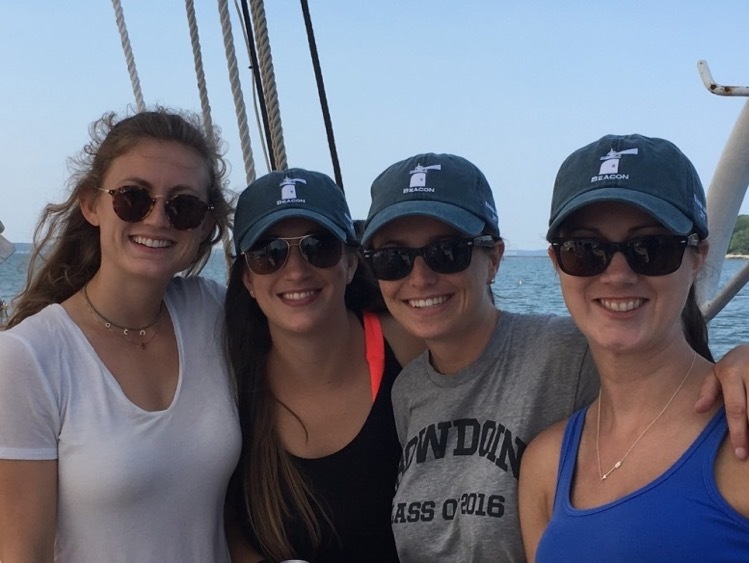 Beacon celebrated our annual summer outing day with a visit to the escape room, followed by lunch on the Eastern Promenade by Foodworks, and finished up a great day sailing around Casco Bay. It was a perfect Maine summer day enjoyed by Beacon employees and our families. Beacon’s Engagement & Wellness Committee sponsored close to 20 employees for the Shipyard 1/2 Marathon and 5k this year. The head of our Healthcare Practice, Oliver Richards, led the pack for Beacon finishing the 1/2 Marathon with a time of 1:31:57! Hosted by Beacon’s Engagement & Wellness Committee, The Beacon Group went skating at Thompson’s Point. It was a great event for Beacon and their families to enjoy some winter fun and celebrate another new year together!